This 7,000 sq. 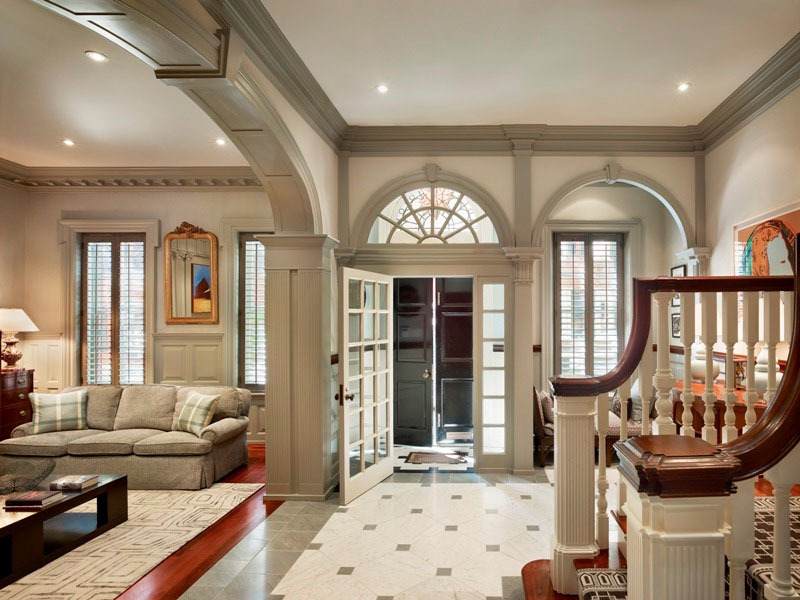 ft. town home in Philadelphia, Pennsylvania features beautiful architectural details which architects Rasmussen/Su worked to revive and renew. Renovation done on the entire structure resulted in an exquisite home where new elements were carefully blended with the original architecture. Unique elements such as a barrel-vaulted hall and a cupola provide the brand new interiors an elegant traditional look.